Anybody with an interest in photography is eligible to join the Society. We offer a particularly warm welcome to novice photographers looking to improve their skills. Our members include photographers with wide ranging abilities from those new to photography to the more seasoned members all of whom are willing to share their knowledge. If you are 16+ and interested in joining the Society, check out our programme and come along (with a parent/guardian) to one of our Tuesday evening meetings. N.B. 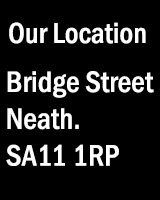 16 and 17 year olds must have written parental consent to join Neath Photo Society as Junior Members. See our Child Protection Policy and A Guide for Parents, Guardians and Carers for more information. A Junior Member Application Form, (available at the club premises only), must be completed by the parent/guardian in person on the first visit to the Society. adult (parent or guardian) at all times.